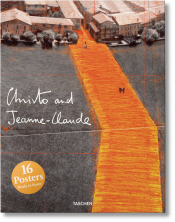 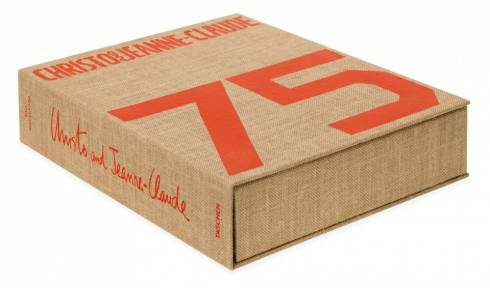 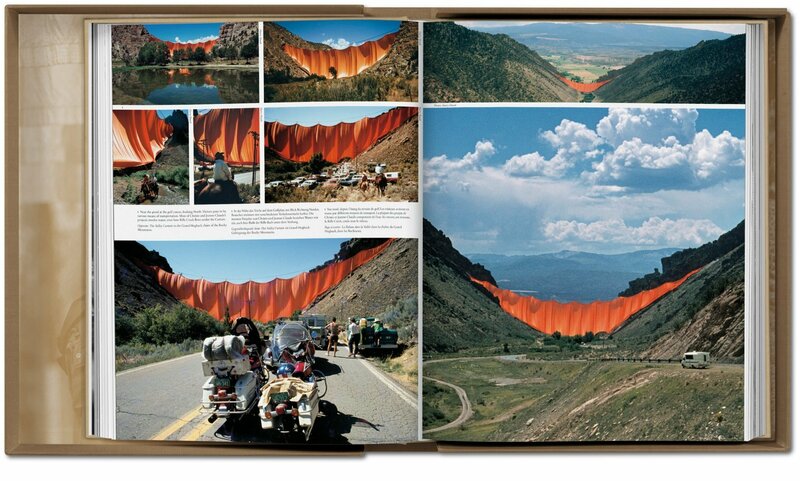 Part biography, part critical analysis, part catalogue, this lavish Art Edition, designed by Christo himself, is a comprehensive overview of the oeuvre of Christo and Jeanne-Claude. 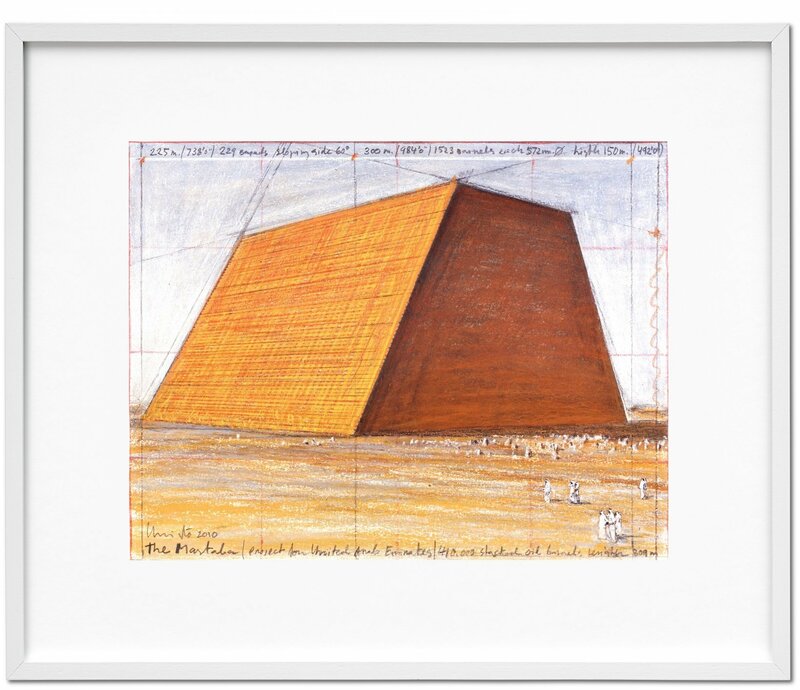 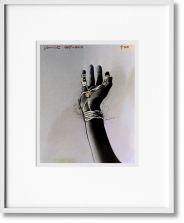 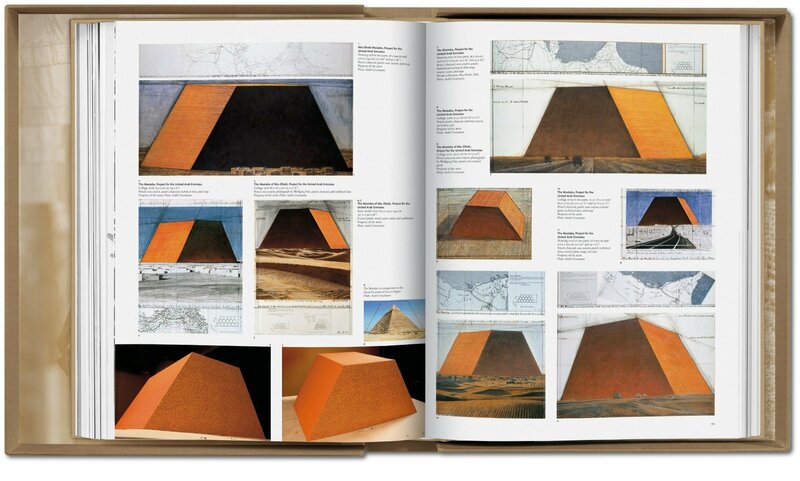 It features hundreds of previously unpublished photographs, drawings and plans, in-depth interviews, as well as original collages by Christo of Over the River and The Mastaba. 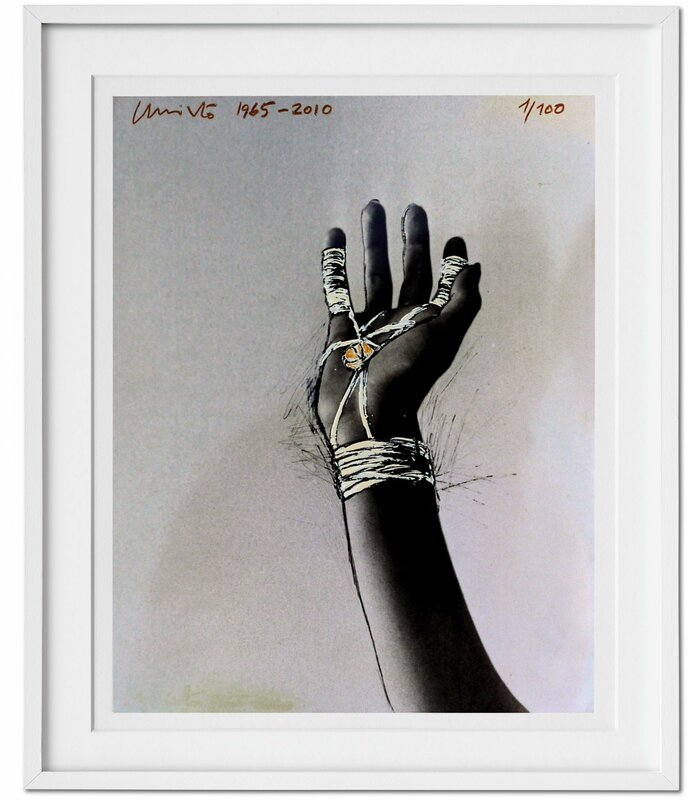 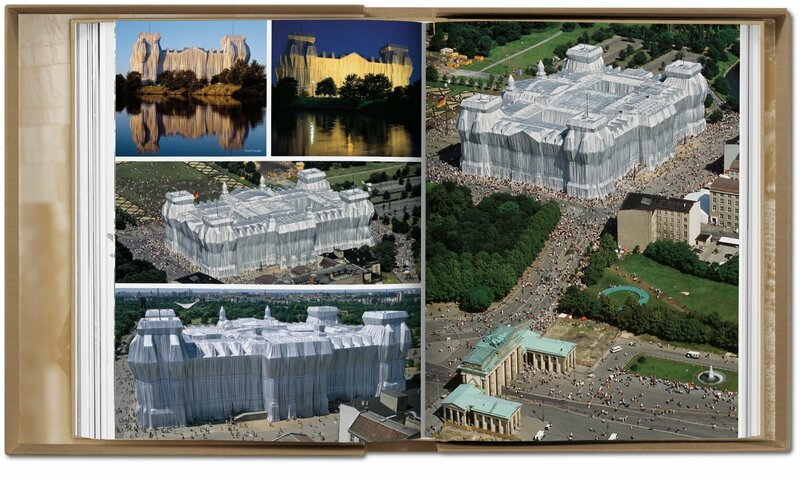 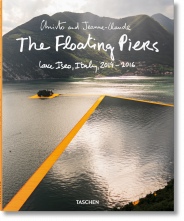 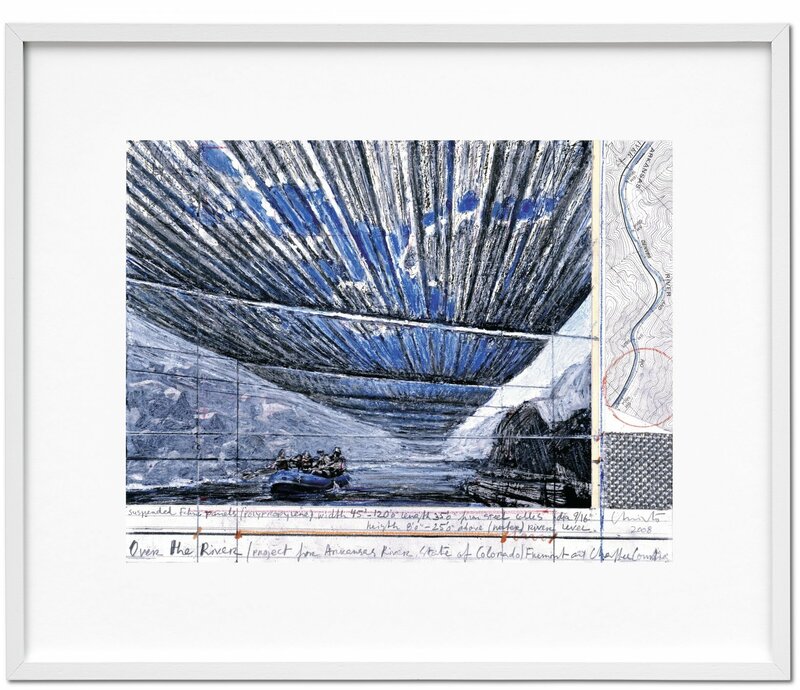 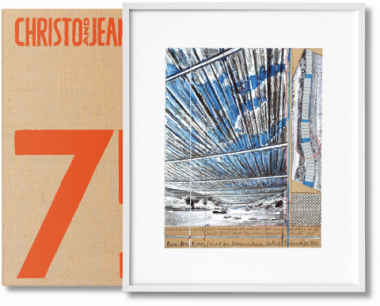 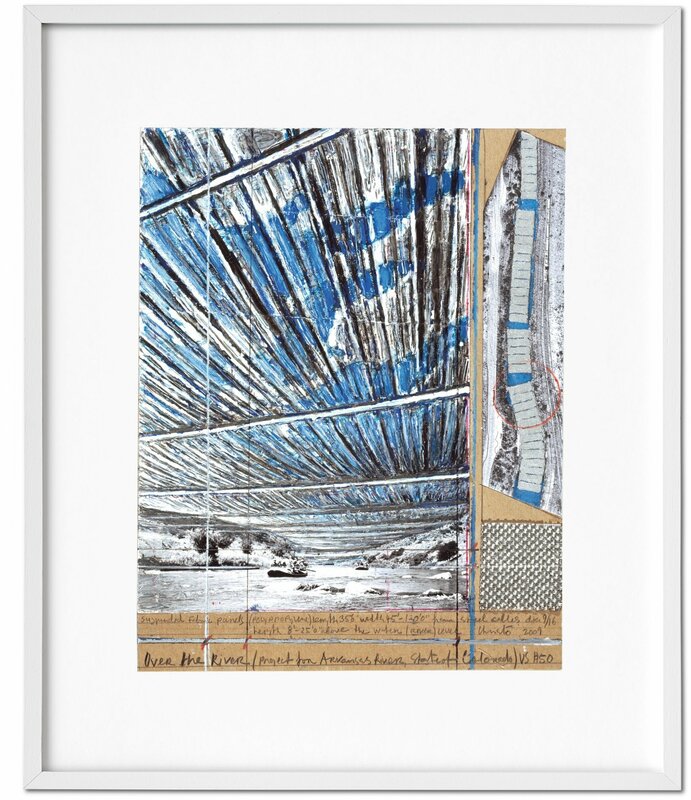 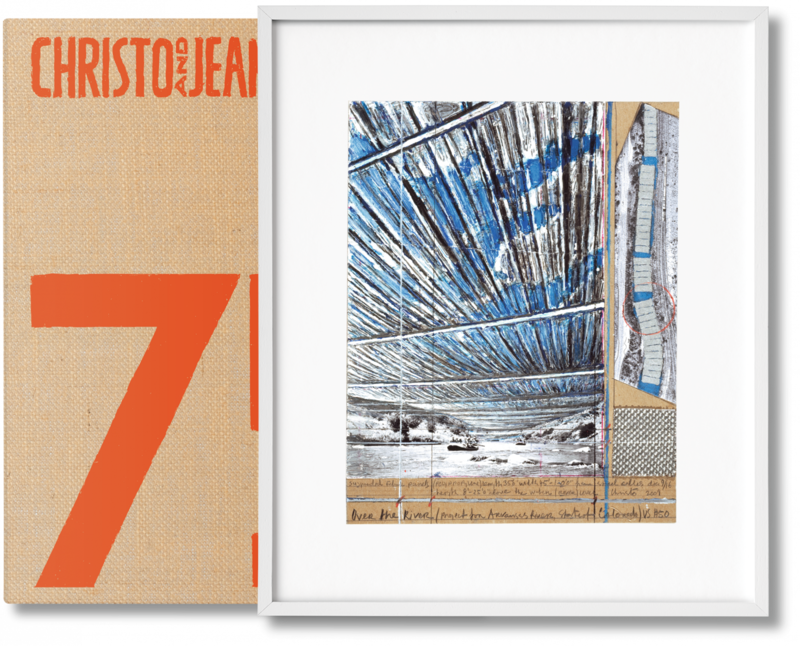 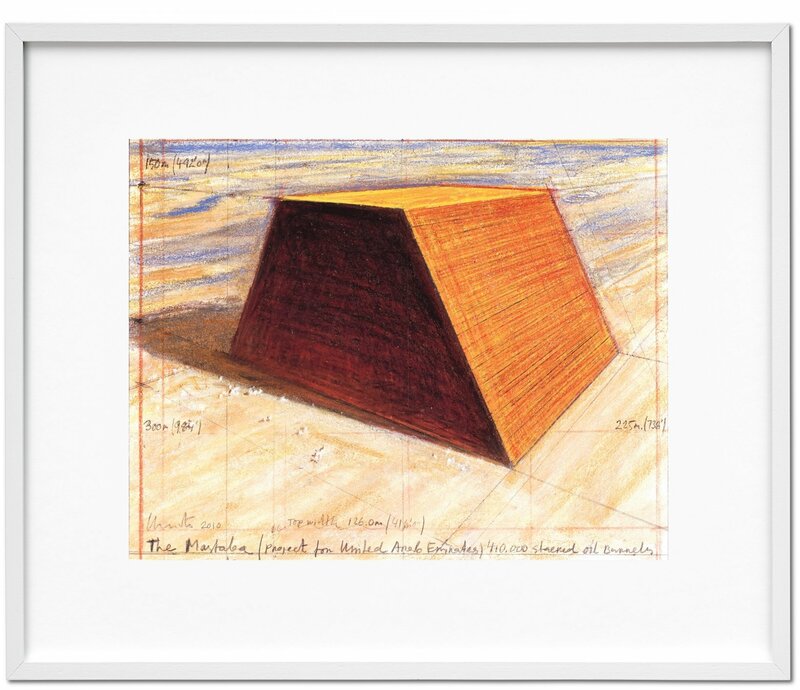 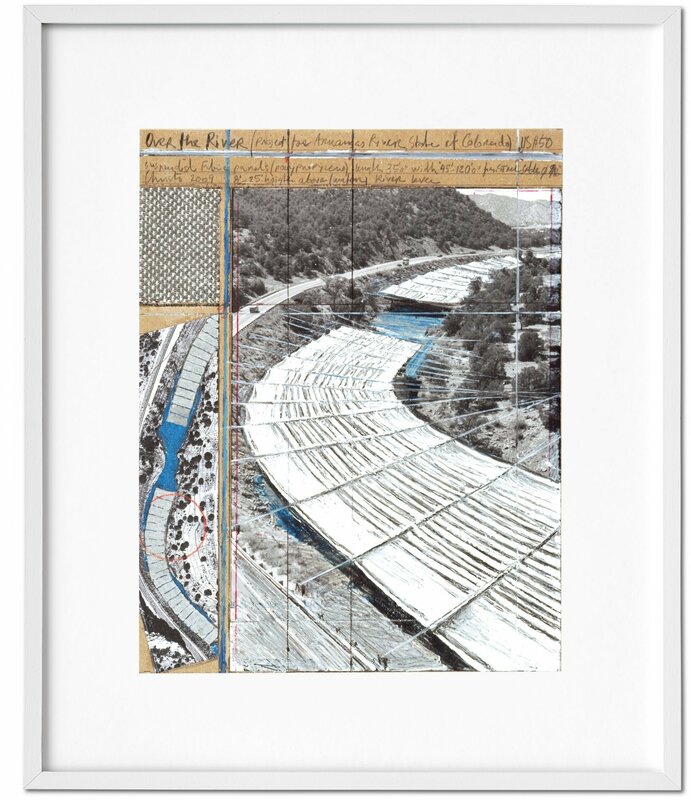 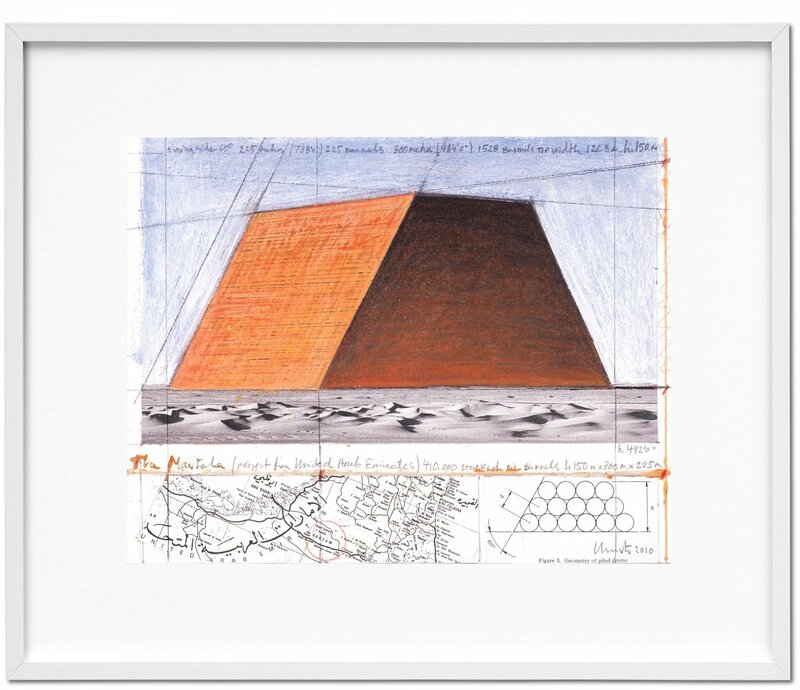 The work of the artists Christo and Jeanne-Claude transcends borders, resists categories, and embraces contradiction. 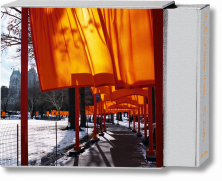 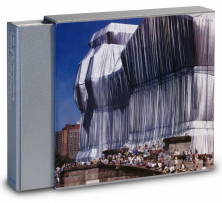 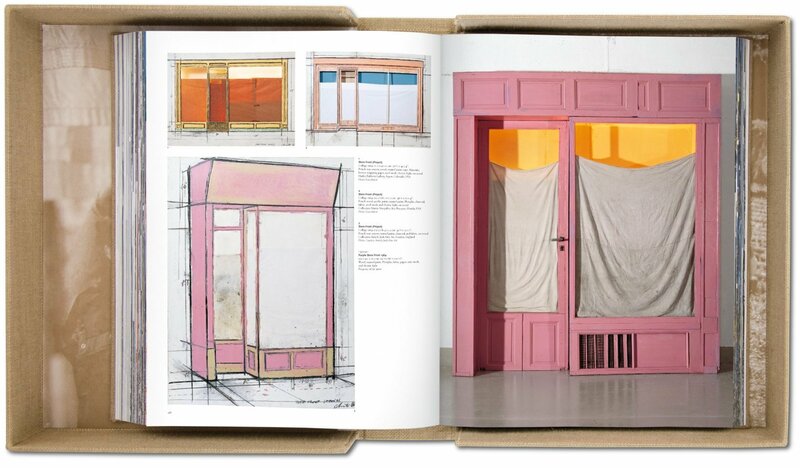 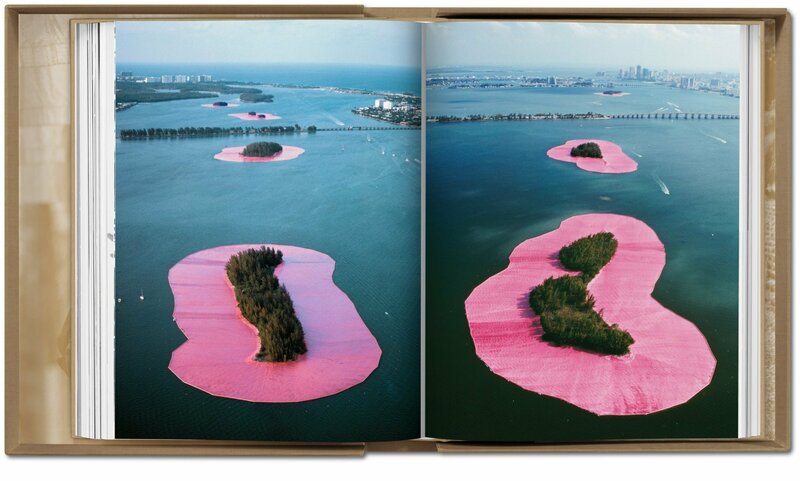 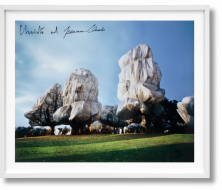 This is the only large-format book that includes all of their projects to date, from Christo and Jeanne-Claude’s works from 1958 to urban and rural temporary works of art, such as The Gates in Central Park, the Wrapped Reichstag in Berlin, and Running Fence in California. 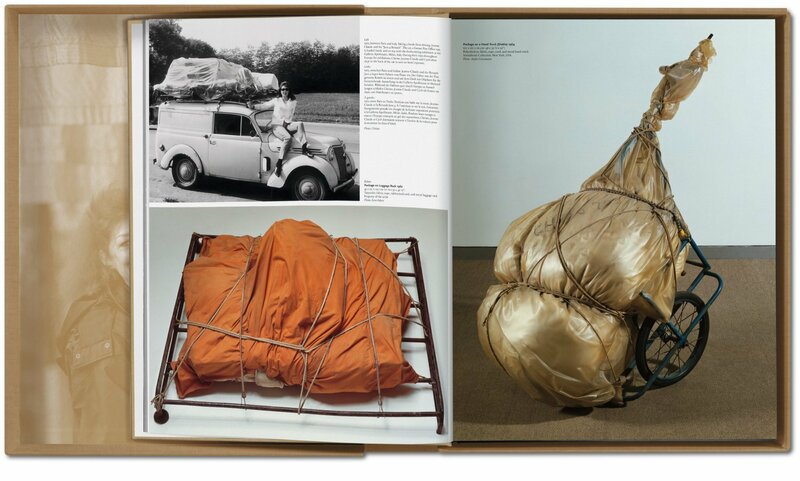 Part biography, part critical analysis, part catalogue, this lavish volume, designed by Christo himself, gives a detailed overview of the life and work of Christo and Jeanne-Claude, from early drawings and family photos to plans for future projects. 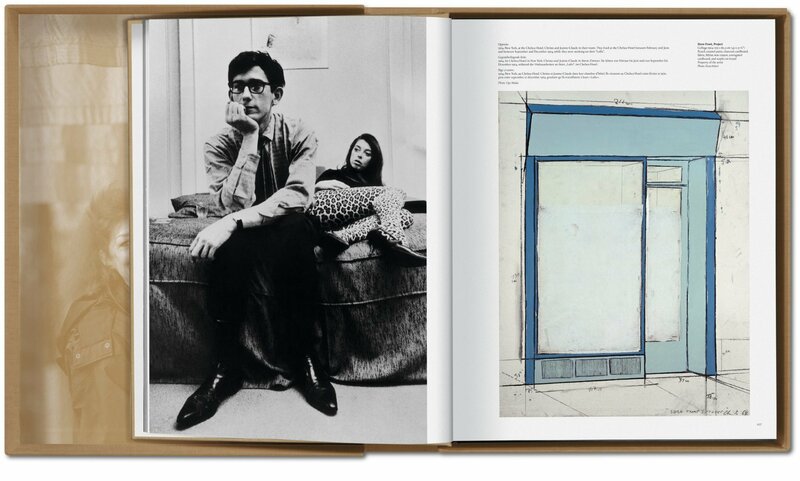 It features hundreds of previously unpublished photographs, drawings and plans for realized works, an incisive and detailed history spanning the entire oeuvre, and in-depth interviews. 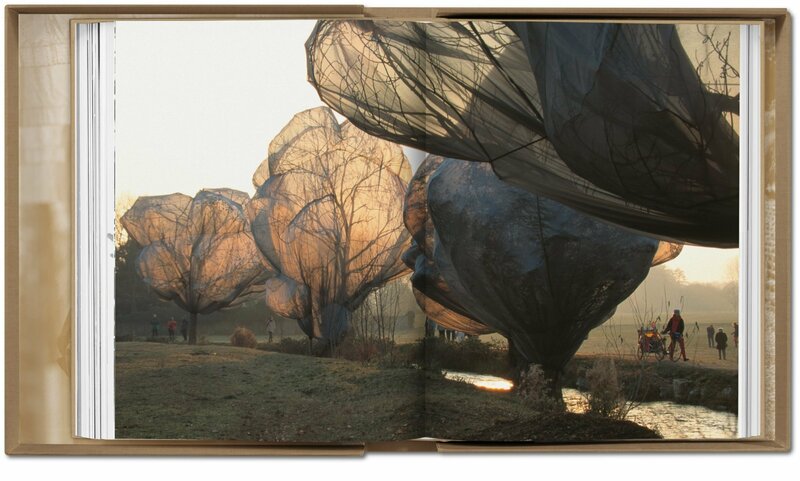 In addition to a thorough photographic documentation of all of Christo and Jeanne-Claude’s work, the book includes the transcript of a conversation between the artists and Paul Goldberger, the last conversation about her work that Jeanne-Claude had before her death in late 2009. 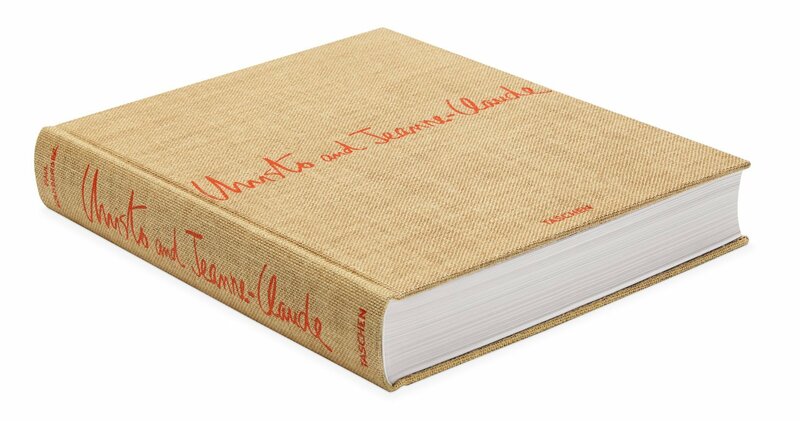 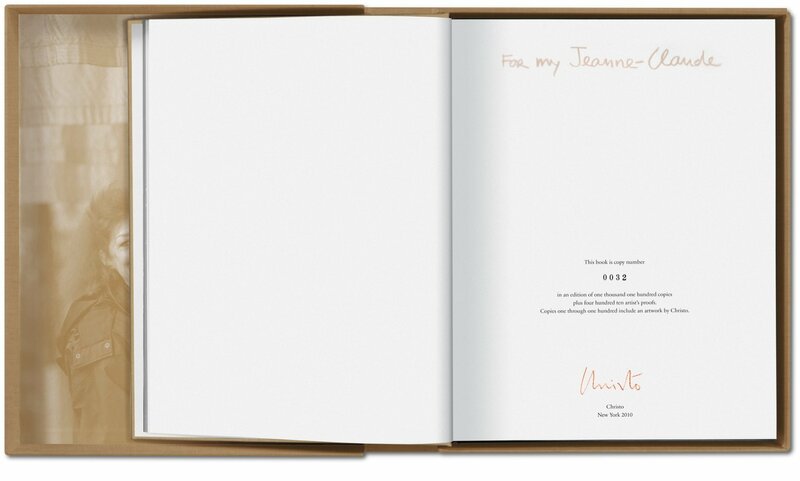 This book is an eloquent homage to Jeanne-Claude, and a celebration of the work of two artists whose imagination has affected the landscape of every continent.